Over the last weeks of Winter Holidays, we’ve had a greater number of contributors than in a long while before, and a lot of small updates have been made on the Diablo 3 Wiki as well as the Diablo 2 Wiki. This is in addition to the contributions that Flux added about a week ago in the Jay Wilson @ 1UP interview updates. Some of the new contributors have also shown an exceptional interest in the wiki, and it will be interesting to see if me or Flux might get toppled in wiki contributions during 2009! Diablo 3 Beta? – This huge FAQ have got a few interesting details added. Trag’Oul – The World Dragon! Elixir – The few things we know about them in D3. Known Items Listing – Updated listings of known items. Mana – The essence of magic. Monte Krol – Less fantastic than it sounds, a WoW developer at Blizzard HQ. Siegebreaker Assault Beast – The original baddie is updated. Uniques – Several updates on many different D2 Uniques articles. Suffixes & Prefixes – Widus projects continues. Diablo Game – Major updates on Diablo 1 monsters and items! Druid – Find out the meaning of the ancient Druidic (Irish!) names. Item Generation Tutorial – Diablo veteran RTB have helped us understand D2 Item Generation. Passive and Magic & Bow and Crossbow – Amazon skill updates. Huge thanks to RTB, D3nick, Belushi81x, ZSiegfried, Dragonhelmuk, Vipermagi, Drakk, HolyOwner, Widus, Mizantrop, Scudstorm, Nithix, Chen, Stardrowned, Elmer92413, Metalhatchet, Kunzaito, Balololu10, Mmmpld, Frankyman and Netmoe! 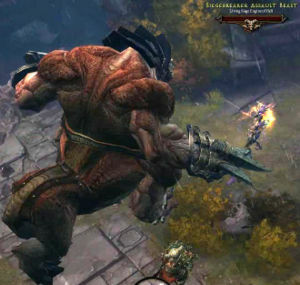 You’re creating Diablo history even before the next generation game is released! If you have any questions, suggestions or pointers about the DiabloWikis, drop a line on my talk page or send a mail to: !